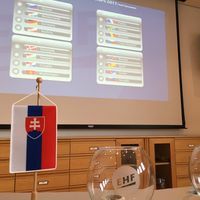 The EHF Office in Vienna played host for the draw to the Women's 17 EHF EURO 2017 Preliminary Round on Tuesday. The playing dates are 10 to 20 August. The only hosting city will be Michalovce. In 2015 Denmark won the Women's 17 EHF EURO, in 2013 Sweden topped the podium.